40 parents of missing Children in China realize what happens to people who seek help from the government. The following is an account of the heart-wrenching experience shared by 40 paren ts of missing children. 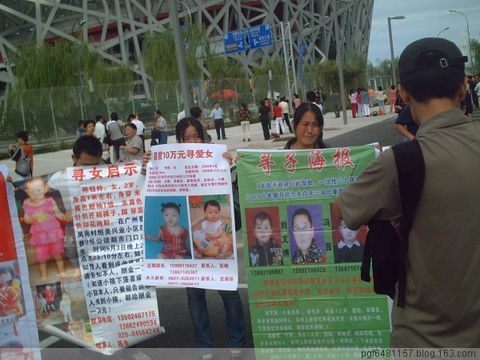 After the Olympics and Paralympics had finished, they went to Beijing to petition for help to find their children. Written by one of the parents and translated by CDT. Read the fuller version at CDT. “Over recent years, there have been countless cases of child smuggling across the country. We’ve been traveling all over the country looking for our children, selling our properties and belongings, and raking up huge amounts of debt in the process. Among the family members and relatives of these lost children, some have died, some have become mentally ill, some have fallen sick, and most have at least been psychologically exhausted. Of course some of these cases could have been solved in a timely manner, but due to all kinds of human factors (I won’t elaborate here because of my concerns with the public security bureau), they only establish a case 24 hours after a child is reported missing. I think this facilitates the smugglers in that it gives them more time to transport the children away from the vicinities within that 24 hours. We reported these cases all the way up the government chain, but months passed without a single result. Some families gave up. I posted bills across towns, on TVs and in newspapers and met with a lot of parents who shared the same fate online. I also learned that a Henan family sent a letter about their 8-month-old missing child through some channel to the premier Wen Jiabao. He made a note of this and within eight days, public security broke the case. With this last ray of hope, we decided to go together to Beijing in order to let the premier know about our pain. And in order to not affect the state image, we decided to travel to Beijing after the Olympics, and chose September 22. More than 40 of us, from 10 different provinces, went all the way to the Bird’s Nest the next morning and put up our posters and banners detailing our experiences. A college student learned about our cases and offered to help us with our petitioning. The scene also attracted an American reporter, but we refused to be interviewed as we feared bringing embarrassment to the government. Furthermore, we figured that CCTV, China’s premier media outlet, would be a better choice for our complaints. With the guidance of the college student volunteer, we made our journey to the CCTV building, but soon realized that we were being trailed by who I guess were three state security agents, probably worried that we might be activists of some sort. At the entrance of CCTV, we were greeted by an armed policeman who asked us what our business was, which we told him. He said he would need to report to his boss but suggested that such a case would not fit with the “harmonious society” slogan. We understood this as meaning that we would have no chance to make our voice heard there. Now without hope for domestic media coverage, we decided that we needed to talk to foreigners. On September 24, we left the hostel very early in the morning to go to the National Center for Petitions. Right upon leaving the hostel, a police car started following us. When we made our way to the Xidan area, eight more cars appeared with 80 policemen. They stopped us and asked for our IDs. A father lost his emotions and said that he was looking for his child. Right as he was about to get out his child’s photo from his backpack, a dozen or so policemen violently gripped his neck and grabbed his hair. The other parents were stunned. I went up to argue with the police but was soon myself snatched by the hair and dragged into a car. “You dare question the government? !” exclaimed one of the cops. At the detention center, our IDs were taken away and when I tried to snap a few photos of our cell, four policemen took my camera away and deleted all the photos on it. “We are the lords here,” one said. Four hours later, my “government” took me away and put me under 3-day house arrest at their gueshouse in Beijing. My ID was taken away again, and I was put under watch for 24 hours. I was also asked to write a commitment to ceast and desist petitioning. Many people in China think the government is all like Grampa Wen stuff, it’s a load of bull to fool people. grampa Wen is a coldblooded murderer, or at least the supporter of many murders, torture and crimes against humanity. people believe what they watch on the state TV and media, I guess they fall for the CCP account of “hamonious society’ which basically means, ‘keep your thoughts in line or else’. Most Chinese keep their thoughts in line with the CCP (maybe not most), and so they don’t not realize what would happen to them if they did not, they dont’ realize that torture will be used on anyone the CCP feels threatened by. The people think the CCP cares about people? they just care about protecting themselves. Good Job to Ai WeiWei for speaking frankly and being a good role model for the future people of China.. This article is from a surprising source, Ai Weiwei, co designer of the Beijing Olympic stadium. I guess he is a public enough figure that he is not as afraid of crossing the line. I find what he said it beautiful and simple. People like that make me feel hopeful for China and happy that people are still minding the truth and how to really achieve the best future. After thirty years of opening and reform, now we have entered 2008. People have reason to be more cautious and anxious: How long can this old broken vehicle continue before it disintegrates? It is just a matter of time. 2007 was a year of strenuously defending rights. That year, there were ups and downs, and people got used to desperation and disillusionment, the incompetence of the regime and old lies. New wealth is shocking, but no one is interested in the nouveau riches. Wealth does not come from hard work, but from the myth of the mysterious order of “let some people get rich first” and not so glorious deals made in the dark. Now the poor are even poorer; poverty without explanation. No one cares why there is such poverty. Prices are going up like crazy. The air and rivers are getting dirtier. Land is disappearing under our feet. 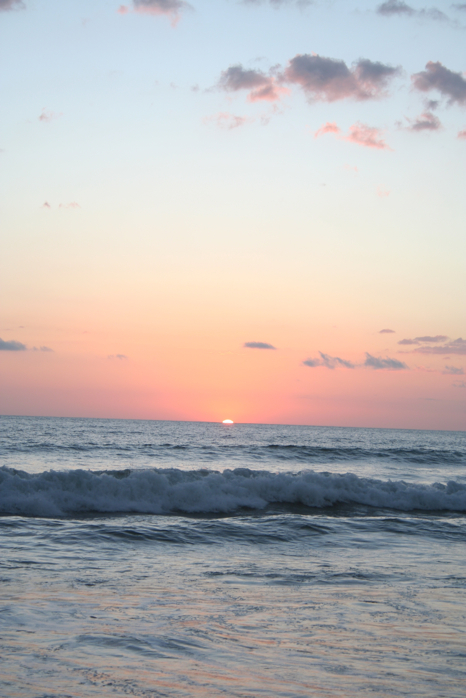 These kinds of days are too short for some people, and too long for others. There are too many failed expectations and too much lost hope, too little persistence and forward thinking. Thirty years after opening and reform, people cannot help but ask, what on earth has happened in these thirty years? What has not changed? Who is holding onto what? For what purpose? What kind of world is this? What kind of past did we have and what is the reality now? What kind of future are we walking towards? The glorious and not so glorious reality is: Although our national economic strength has surpassed Germany’s and is only behind that of Japan and the US, in the last thirty years, there has been no real sense of political reform, no real elections, citizens’ rights have not been realized, there is no free speech or free press. What’s in the media is so far from reality, the government has no credibility, people have no faith, capital is being redistributed and power is being rearranged, national interests are being divided and sold out again and again. An Olympics far from the will of the people and the spirit of freedom, a national ceremony without the inspiration of the citizenry, a myth so far away from modern civilization, the end result will be endless nonsense and a bore. The reason is simple: In this world no autocracy can pretend to be the joy of democracy, nor can it masquerade as harmony and happiness. No one can win the people’s support through deceit and betrayal. “One World” — What world? No democracy, no human rights, no justice or equality, only deceit and betrayal. “One Dream” — What dream? More corrupt officials, more shady deals, continued lies and questionable prosperity. Also, for a down-to-earth take on the Olympic tour through China, this professor gives us his opinion and that is a good sign that the Chinese people, after so many years of oppression, might be standing up.